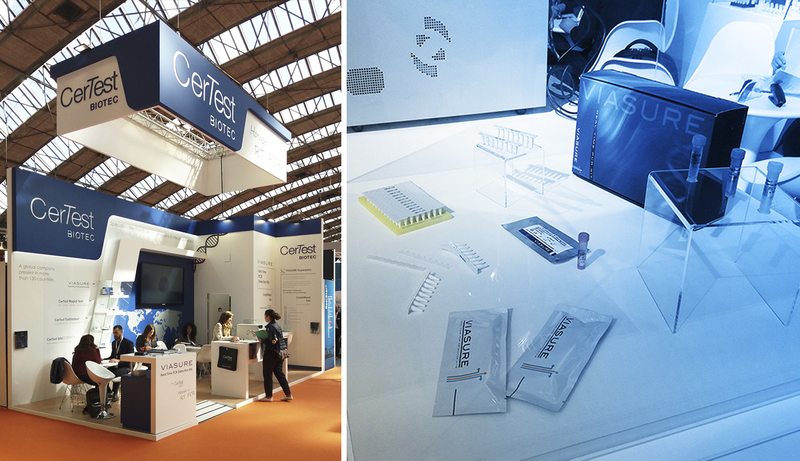 ECCMID 2019: CerTest Biotec reinforces its commitment to molecular biology applied to the diagnosis of infectious diseases. From April 13 to 16, CerTest has released in Amsterdam, under the slogan “House of RT-PCR”, the latest developments in molecular biology that its brand, VIASURE Real Time PCR Detection Kits, exports to more than 50 countries throughout the world. ECCMID is the world reference event of Clinical Microbiology and Infectious Diseases, which brings together experts from around the world to an audience of more than 13,000 participants from 130 countries. This year’s edition, number 26, has surpassed all expectations of participation, with 204 exhibitors and more than 130 scheduled technical sessions. CerTest has presented in its exhibition showroom the latest developments and solutions for the diagnosis of infectious diseases, like the new kits for the identification of Tuberculosis, Sexually Transmitted Diseases, Herpes, or the Respiratory and Gastrointestinal panels, suitable for the detection several infectious pathogens in a single assay. In addition, CerTest has contributed with the technical session timeline presenting the poster “Comparison of two commercial Real-Time PCR assays for detection of Helicobacter pylori infection and its resistance to clarithromycin in human gastric tissue biopsies”, released in collaboration with the Faculties of Medicine and Veterinary Medicine of the University of Zaragoza, the Department of Gastroenterology of Miguel Servet Hospital, and the Health Research Institute of Aragon. CerTest Biotec employs 140 workers in its plant located in San Mateo de Gállego, developing and commercializing solutions for the diagnosis of infectious diseases. With more than 15 years in the diagnosis market, the company has exhibited at fairs and specialized conferences around the world. The next appointment will be in Barcelona, at EUROMEDLAB, from May 20 to 22.